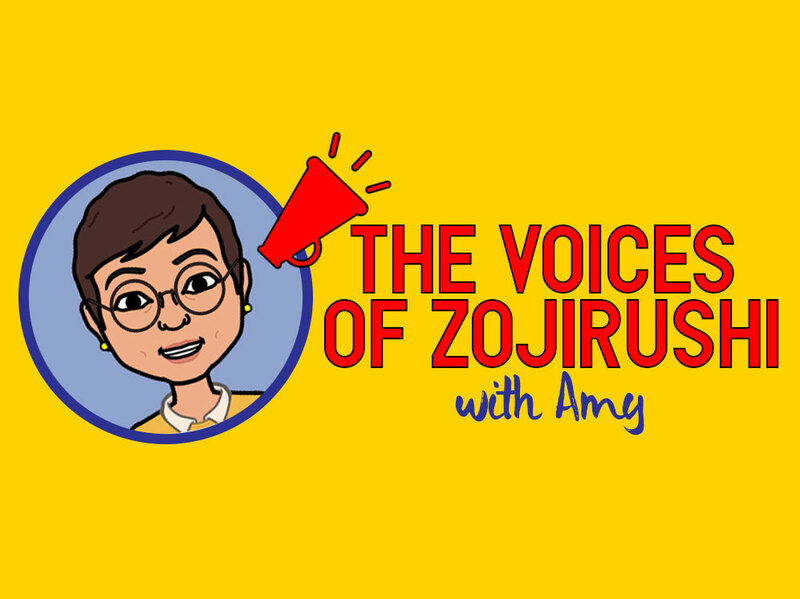 The Voices of Zojirushi – Amy, Social Media Manager! We have a wonderful treat this month – a chance to get to know Amy, Zojirushi’s Social Media Manager! Amy started at Zojirushi as a Customer Service Representative and then became part of the Marketing Team managing the Zojirushi social media accounts on Instagram, Facebook and Twitter. Amy’s multifaceted passion for connecting with Zojirushi customers and fans is just one of reasons we’re excited to share her with you! Amy, you’ve been with Zojirushi for a while now, and have a unique perspective about the products, customers and company goals. What do you see as Zojirushi’s corporate values and how do you believe they’re embody in the products and services? It’s all about dedication to the customer experience. We know you can’t see it, but Zojirushi products are R&D’d to within an inch of their lives! Our commitment to creating innovative products manufactured to the highest standards is our lifeblood. We are always striving to exceed the expectations of our customers, because we want Zojirushi products to be a reliable part of their owners’ lives. We think that the quality of the products produced by this madness is evident. 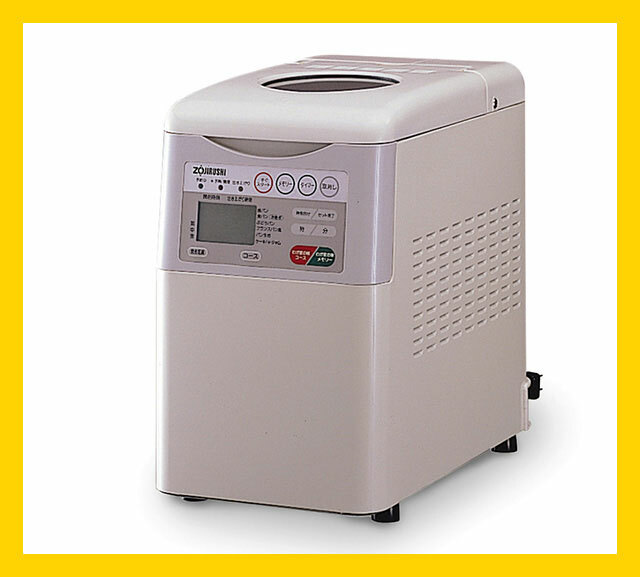 It’s always a pleasure when customers tell us they are still happily using a rice cooker or breadmaker we produced in the 80s! There’s still a lot of these breadmakers kicking around! How do you see your position at Zojirushi create a better quality of life for our customers, which is part of Zojirushi’s mission? The Zojirushi experience doesn’t end when the customer exits the retailer’s door. Our social media presence is an opportunity for us to continue educating the customer about the product, and supply fun and useful things like recipes that let them find new ways to enjoy it. It’s also an invaluable tool for connecting with customers, because reaching out to us is so easy and instant—no phone call required. Our corporate tagline is Inspirations from Everyday Life. How do you believe Zojirushi products inspire customers? Just ask our customers and Zojirushi evangelists! The quality and functionality of our products inspire fans—we’ve heard many times that customers feel like they’ve stumbled upon something really unique and different, and they love to share that discovery with others. Not all customers find our brand the same way; for instance, someone who purchases and loves our Stainless Mug may not know that we also manufacture world-class rice cookers. But because our commitment to manufacturing products only at the highest standards, customers know that no matter what they’re eyeballing in our catalog, it will be made and function with Zojirushi quality. You must have been inspired by something yourself to feel so passionate about Zojirushi! Was it a trip to Japan or something about Japanese food or culture that you love? We are a relatively small company, and the ties between employees are close. 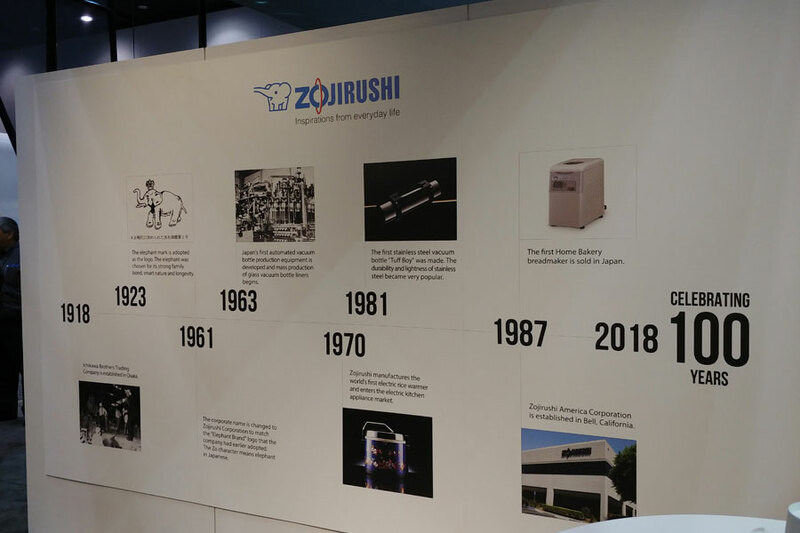 Many employees have been with Zojirushi America since we opened our office here in 1987 (or maybe even before then) and have shared a lot of history together. Our company president, Mr. Yamasaki, is right up the hall—if an employee wants to chat with him, he’s available to listen. Our staff is also a diverse one that speaks many languages—Japanese and English, of course, but also Spanish, Tagalog, and Vietnamese—and boasts a variety of personalities. Zojirushi America is full of incredible people, and it’s a big part of what makes working here a pleasure. We love working with Amy, and we hope you’ve enjoyed getting to know her this month. 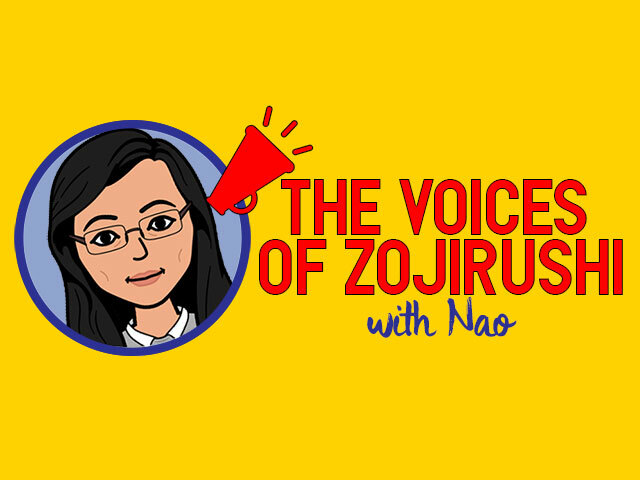 Stay tuned for our next Voice of Zojirushi! Did you enjoy our post last month? If not, this month’s exploration about an Acquired Taste of Japan might be more appetizing for us less adventurous eaters! We’re diving into one of Japan’s traditional foods, shiokara. It’s known as “chinmi” or “a rare taste”, and once you learn more about it, you’ll be intrigued as well. Shiokara are seafood fermented in their own viscera, salted and seasoned. 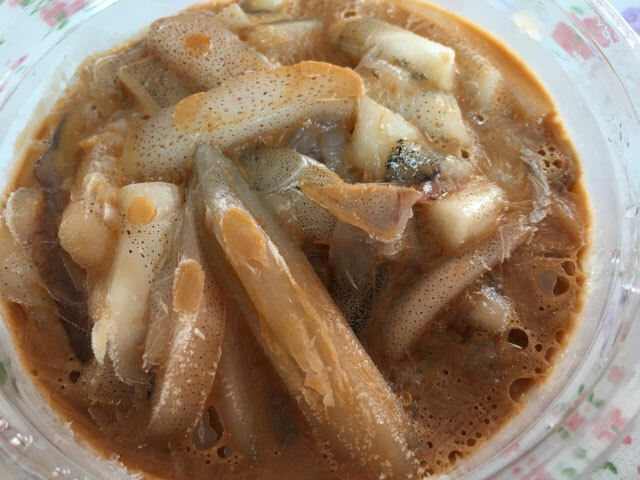 The most common shiokara, called ika no shiokara, is made from small squid that are plentifully available off the coast of Japan. Shiokara can also be made from tuna (“shuto”), crab (“ganzuke”), salmon (“mefun”) and sweetfish (“uruka”). Each type is a mix of salt, viscera found in the main body cavity such as the liver or intestines, and more fleshy tissue. Depending on the cook’s preferences, shichimi pepper, wasabi, mirin or grated yuzu peel are also added to the mixture for zest and flavor. But traditional shiokara is simply salt and seafood. Shiokara, especially ika no shiokara, is said to have become a popular dish in the 11th century as a source of protein, fats and vitamin D during winter months when food was scarce. The entire fermentation process took between a week to ten days, so shiokara could be replenished easily. Primarily eaten with rice, a small but complete meal could be had. 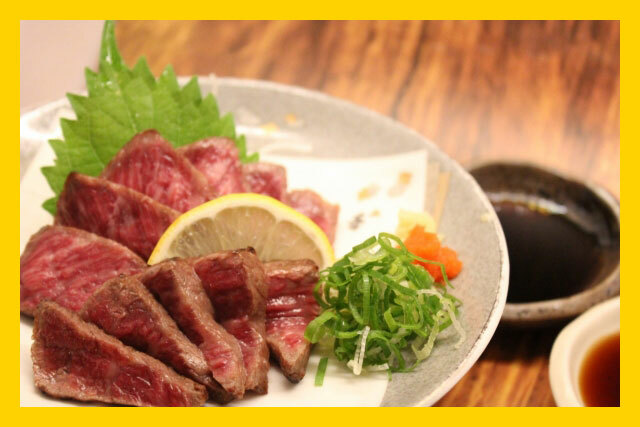 In modern times, shiokara is served at many izakaya or Japanese pubs. A small bite of ika no shiokara makes sake taste great! And the saltiness definitely makes you want to drink more of it! 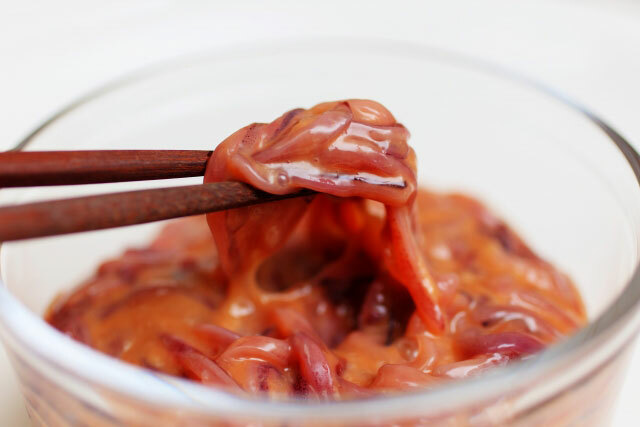 Making ika no shiokara is straightforward, although it does require quite a few steps. We found this recipe requiring nothing by salt and squid. 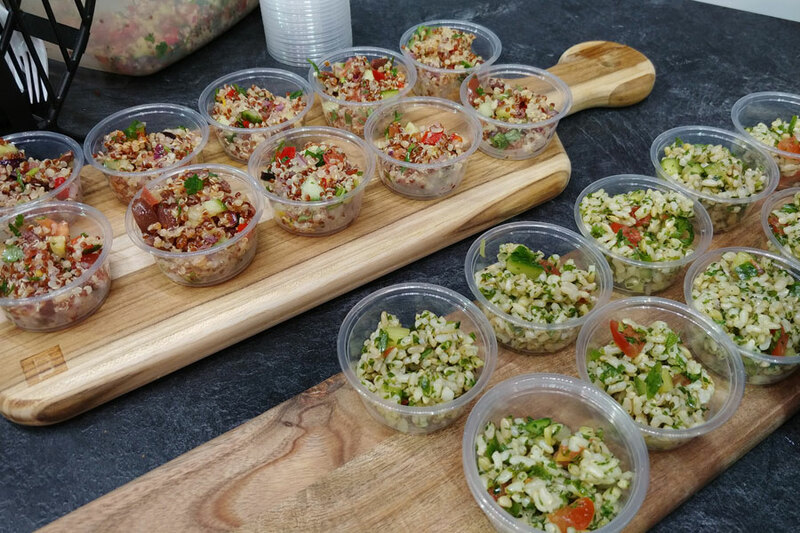 If you try it out, let us know how your preparation tastes! And if you don’t feel like making it yourself, then definitely give it a go at your nearest Japanese pub. We’re so excited to announce our newest coffee maker–the EC-YTC100–which features a stylish and smart thermal carafe. 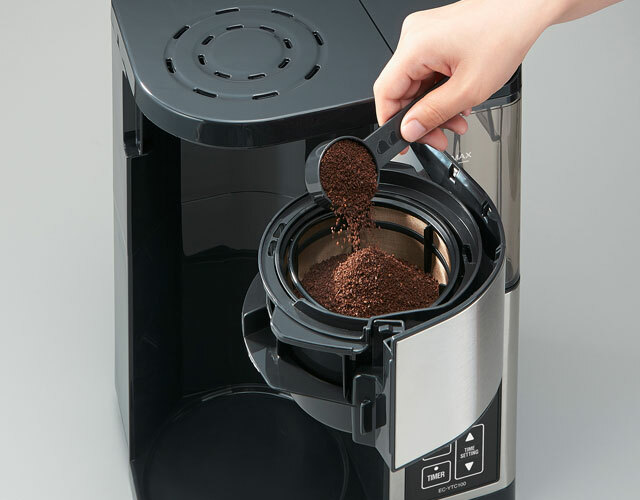 The Zojirushi Fresh Brew Plus Thermal Carafe Coffee Maker (EC-YTC100) brews up to 10 cups of delicious hot coffee, and enough concentrated brew to make up to 5 cups iced coffee, whether at home or at the office. The perfect brew comes from perfect design. The design reflects in the intelligent features built into the machine. This coffee maker brews coffee using one of two brewing cycles–a regular mode or a Time Saver mode, which delivers hot coffee faster by reducing brewing time. It also features a pre-infusion cycle which evenly wets coffee grounds before brewing at an ideal temperature of 200°F*, thus allowing them to bloom for perfect extraction of flavor and aroma. 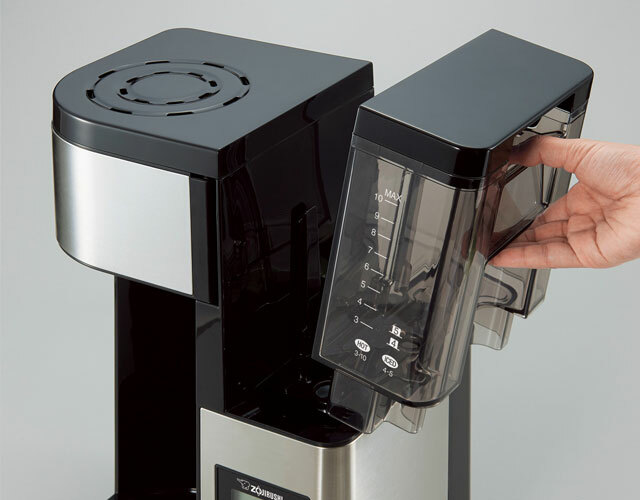 The easy-to-fill, removable Water Tank displays two sets of markings–one for brewing hot coffee, and another for brewing iced coffee. The iced coffee markings allow it to adjust the water-to-coffee ratio for stronger coffee that doesn’t taste watered down when poured over ice. The stainless steel thermal carafe is an outstanding component of this coffee maker, utilizing Zojirushi’s superior vacuum insulation technology to keep coffee hot for hours. Because the vacuum insulation eliminates the need to use a hot plate to keep coffee warm, it doesn’t have the “burnt” flavor that’s caused by excess heating. And best of all, the tapered design with thumb-activated pouring makes serving smooth and easy. 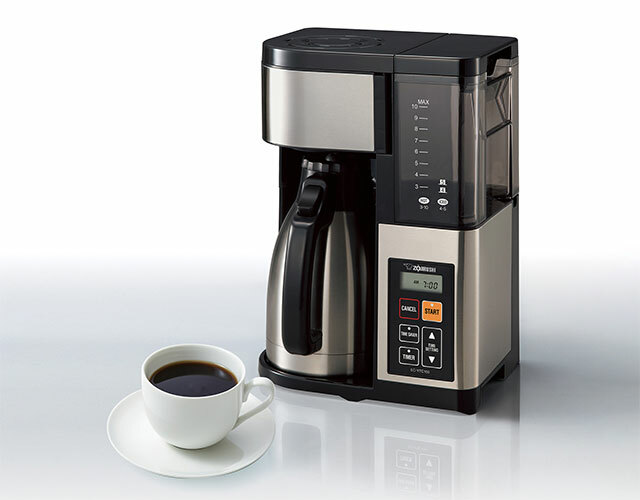 The Fresh Brew Plus Thermal Carafe Coffee Maker was also designed with multiple convenience features. The Swing Basket and Filter Basket are easy to access and fill with ground coffee using the measuring spoon accessory, and they lift out for thorough cleaning. 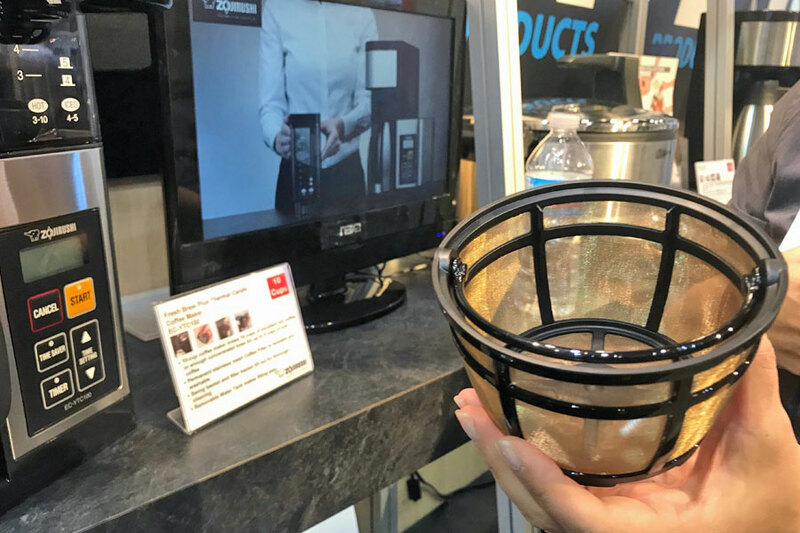 Instead of using disposable paper coffee filters, this machine utilizes a reusable mesh coffee filter made of stainless steel–so easy and eco-friendly! A 24-hour programmable timer with digital clock delays brewing so you can set when you want fresh coffee in the morning, and the sound signal can be switched to mute for quieter operation. The machine also comes with a Clean Indicator that alerts you when cleaning is recommended. And each of the removable components—Water Tank, Swing Basket, Filter Basket and carafe—are easily cleaned with mild detergent and warm water. The machine’s exterior can be wiped down with a soft damp cloth. So, with all of these features, what would you make with the great coffee you can brew? Our classic Iced Café Mocha is amazing… so chocolatey! And our classic Simply Iced Coffee hits the spot when you want a smooth glass of richness. But one of the most unique recipes we’ve tested with this coffee maker is the Creamy Coffee Ice Cream! Ice. Cream. Wow! Enjoy all of our recipes and let us know how you use your new Fresh Brew Plus Thermal Carafe Coffee Maker! 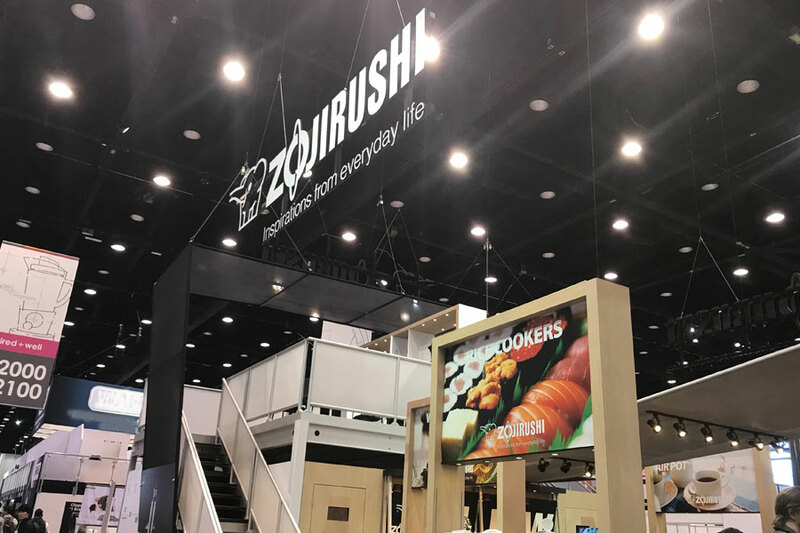 Earlier this March I was at the International Housewares Show in Chicago again, and this year I thought I’d do my report exclusively on your favorite company and mine, Zojirushi. For more on what the IHA Show is all about and a peek at what goes on there, see my past post on the IHA Show here. As always, it was a sold-out conference of over 2200 exhibitors from 47 countries, showing off their newest innovations in kitchen and home cleaning products. 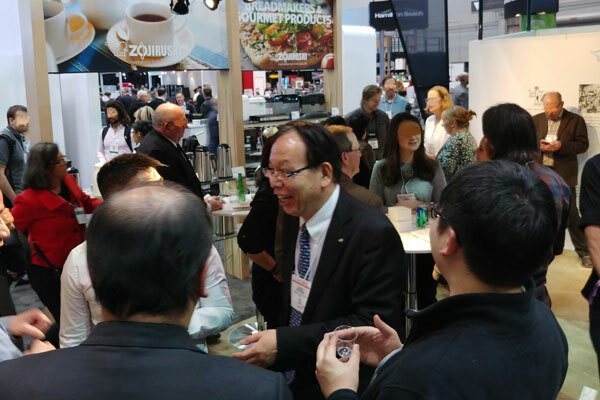 It’s an exciting, fast, activity packed 4 days of meetings, seminars, panel discussions and dinners for all of these exhibitors—and our friends from Zojirushi were there, unveiling brand new creations and celebrating their 100 Birthday! Just to give you a bit of the overall picture, the Show is divided into 3 halls at the McCormick Place convention center in Chicago. Home cleaning takes up the North Hall while kitchenware takes up the South. A smaller, but definitely the coolest hall, is filled with all the manufacturers of home electrical appliances—and that is where Zojirushi is, right in the middle of it all. As always, our friends had many new products and innovations to unveil, and I’m sure you’ll hear more about them during the year. 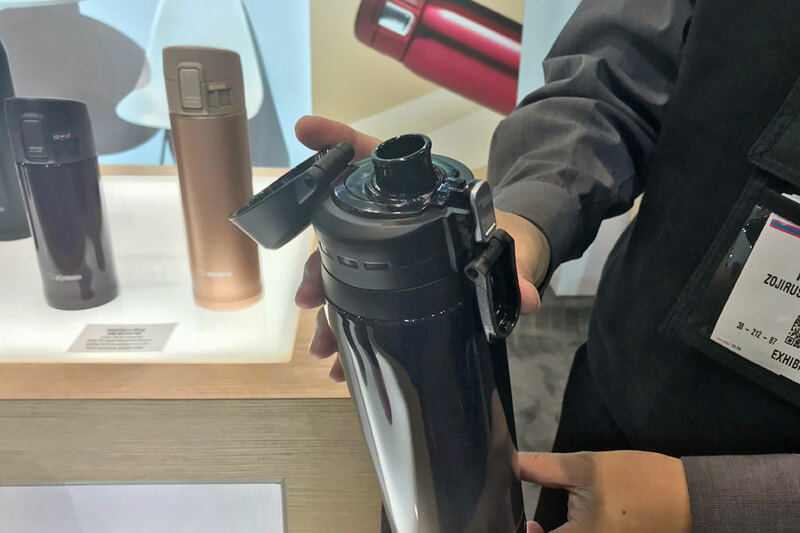 Here’s a couple of sneak peeks from me–the updated Fresh Brew Coffee Maker, and a new drink bottle from their travel mug collection. The Fresh Brew will now come included with a permanent, gold mesh coffee filter basket, so you won’t have to replace the paper filters anymore. This is great news! Permanent filters save money, are easy enough to clean and are better for the environment because there’s no paper waste. I like that! 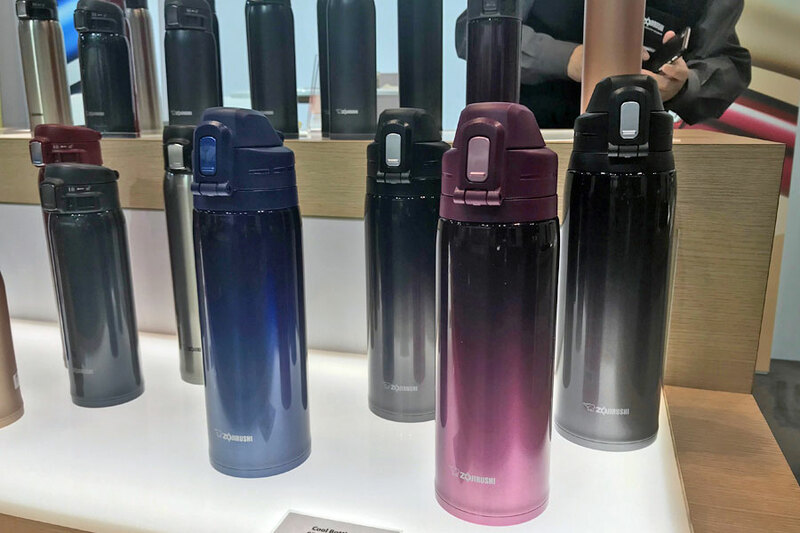 Their newest insulated travel mug has these very stylish, gradient colors that accentuate the tall cap design on this bottle. I’ve always been a fan of the colors that Zojirushi comes up with for their bottles, but they’ve outdone themselves this time with these! Also being introduced are these new drinking spouts on some of their models. The large opening is designed for quick guzzling when you’re very thirsty—but they’re still watertight enough for your backpack. Neat, huh? I was also told that for fans of stainless steel, there is a new water boiler with an inner tank made of their patented SlickSteel® surface, and a steel option will also become available on one of their rice cooker models. 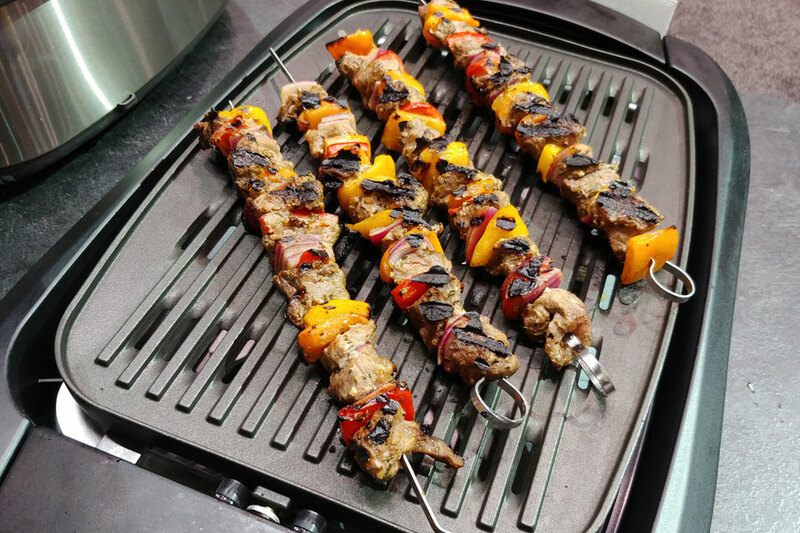 So if you’d rather have stainless steel than a nonstick surface, you can look forward to those! Besides all the wonderful technical gadgets and appliances that are demonstrated in this hall, you can smell all the aromas from fresh coffee and food cooking as you roam the aisles. 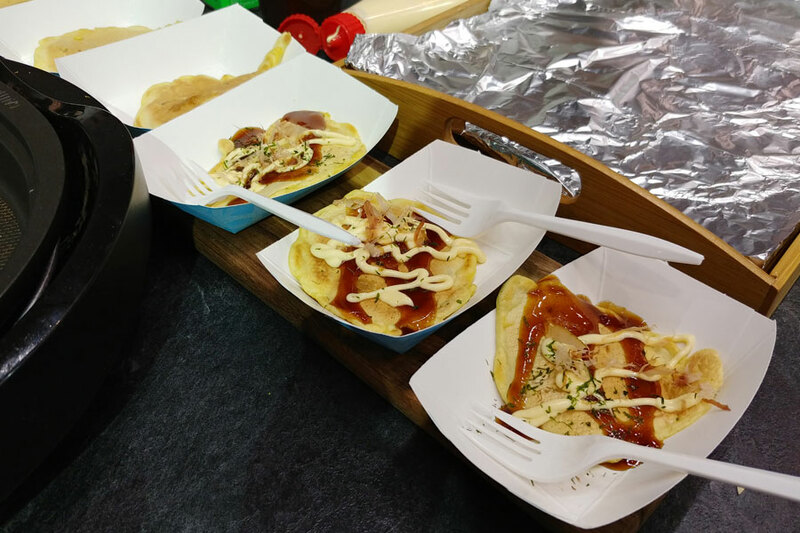 Manufacturers of coffee makers and various cooking appliances all give out samples throughout the day, and Zojirushi is no different, as the staff is extremely busy, grilling tasty snacks on their gourmet griddles and cooking rice dishes with their rice cookers. I’m telling you, it’s a smorgasbord, and there’s nothing like the smell of good food to attract customers to your booth! 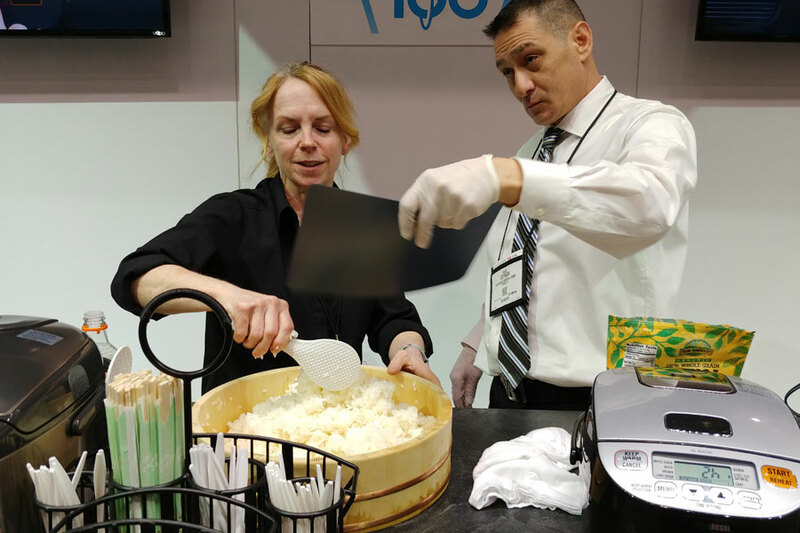 Marlene and Nick from Zojirushi fanning and cooling fresh cooked sushi rice. 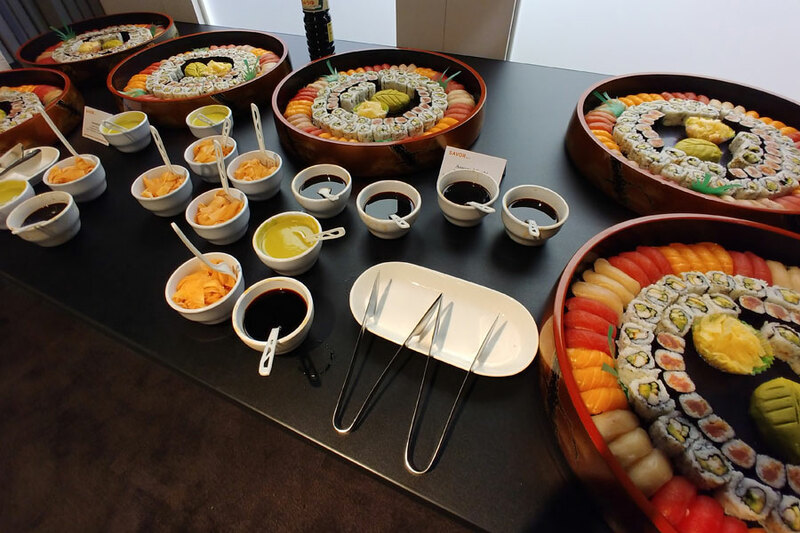 Scenes from the 100th Anniversary party that Zojirushi held at their booth for their customers and guests. I hope you enjoyed this look from behind the curtains at this year’s International Housewares Show. You can see how much work is involved in putting an event of this size together, both for the organizers and for all the exhibitors that attend it. 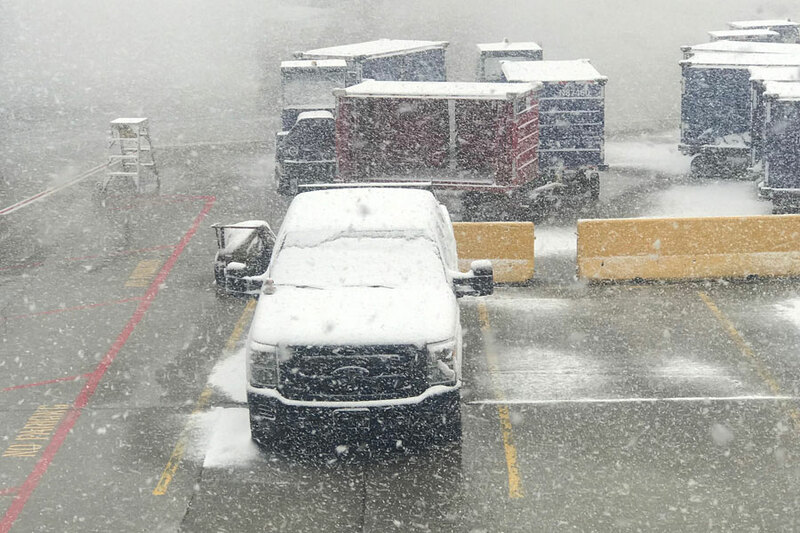 Luckily, the weather in Chicago was fairly mild again this year, and I was able to fly out just as snow hit the city. This was at the airport and it looks bad, but I only got delayed an hour. 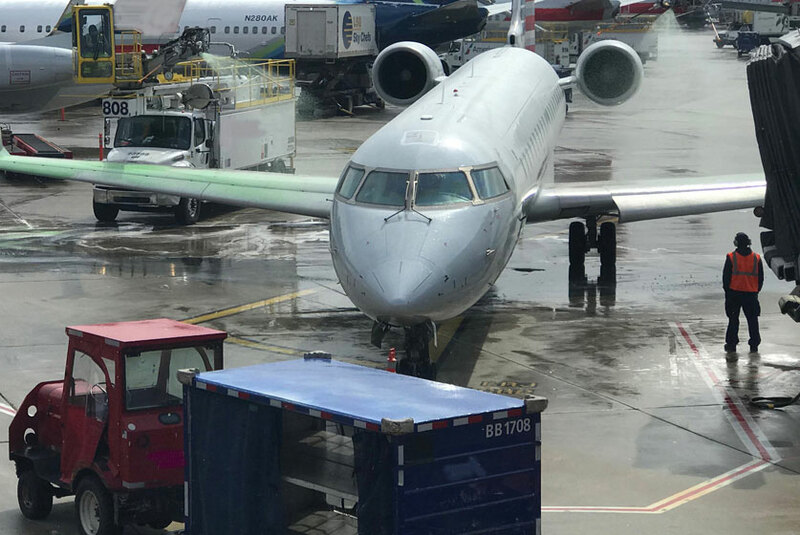 Airport crews busy at work, de-icing the wings before takeoff. I think that green stuff is anti-freeze. I hope to attend next year too—looking forward to it! Spring time is full of freshness, and so are the ideas we’ve recently heard from Nao, our Sales Associate Manager. Nao is based out of Torrance and her history of growing up and living in Japan and the United States offers us a unique perspective about Zojirushi across two countries! We started with the good stuff when speaking with Nao, and that is…what’s your favorite Zojirushi recipe? Butter mochi! It turned out great and a fellow employee recommended that I finish the butter mochi in the oven so the coconut on the top gets crispier. So good! 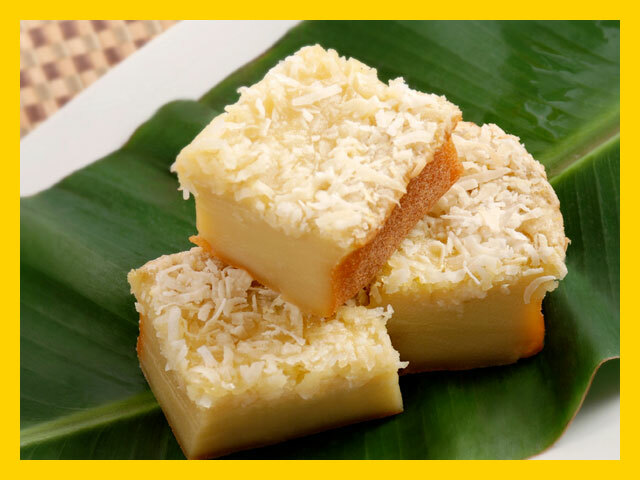 Butter mochi is a great recipe to make in our breadmakers. 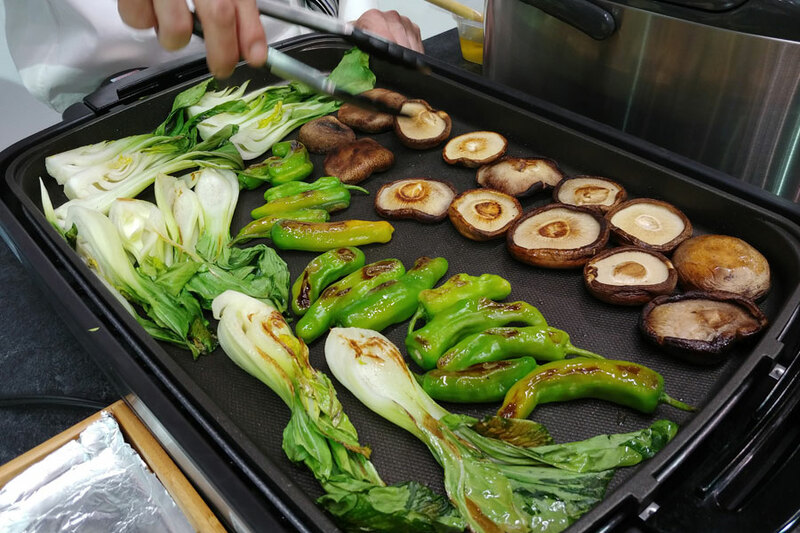 Are there other Zojirushi appliances that you like and would recommend to our customers? Water boilers – they’re a luxury that goes unnoticed. At any time of the day, one press of the button gives you the perfect hot water for your needs. How do you feel like that quality of the water boiler helps our customers, especially when you think about our company’s tagline – Inspirations from Everyday Life? We continue to make products that makes life a little bit easier in this busy day in age. Plus the fact that we focus on high quality and stylish designs. So how does that sense of ease, quality and stylishness translate into how you work with your customers and the role you have within the Zojirushi organization? Sales associates work closely with retailers to determine their needs, answer their questions about our products and recommend the right solutions. We try to promptly resolve complaints and ensure maximum satisfaction. To achieve this, we stay up-to-date with product features and maintain high standards in customer satisfaction. Customer satisfaction is our first priority. It’s all about our corporate philosophy of Creating a Quality of Life. It sounds like you’ve been inspired by your time at Zojirushi. How did you join the organization? It just so happened that Zojirushi moved to Torrance when I was looking for a job. I was familiar with Zojirushi since I was surrounded with Zojirushi products growing up. So, you grew up in the United States and Japan? Yes, I have been to Japan many times. In fact, I have lived back and forth between the United States and Japan. I was born in Japan and first came to the United States when I was 4 years old. I lived here for 5 years and went back to Japan when I was 9. I was able to experience Japanese culture by attending local elementary school. At age 12, I came back here and stayed until I graduated college. Then, I decided to live in Japan by myself. At first, I had a difficult time adjusting living in Japan all alone not knowing what to do next. But in the end, after 6 years, I loved it. The best part about Japan was the delicious food without spending too much money. My favorite food is sushi! And are there any products that you think Zojirushi should make as part of their next innovations? 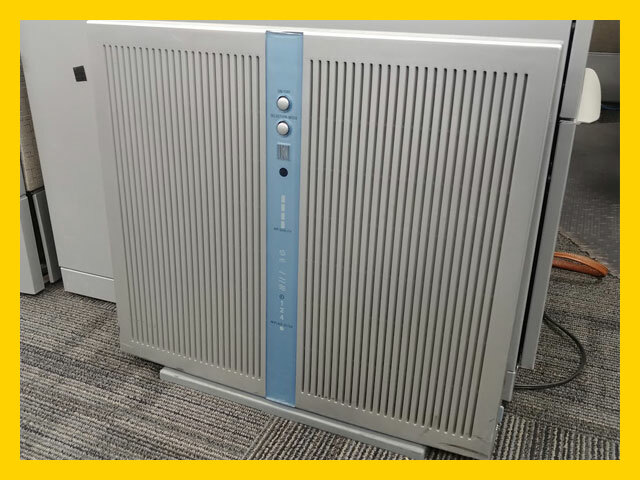 It’s not a new product but I would like the air purifier to come back. It feels good to have clean air in the room. I’m sure as Zojirushi grows, they’ll keep making new things with new idea. We strive for the same ideas that Nao brings to our organization–product innovation, customer service and a great working environment. We hope you’ve enjoyed learning a bit about Nao. Stay tuned for more fun anecdotes with the rest of our team!